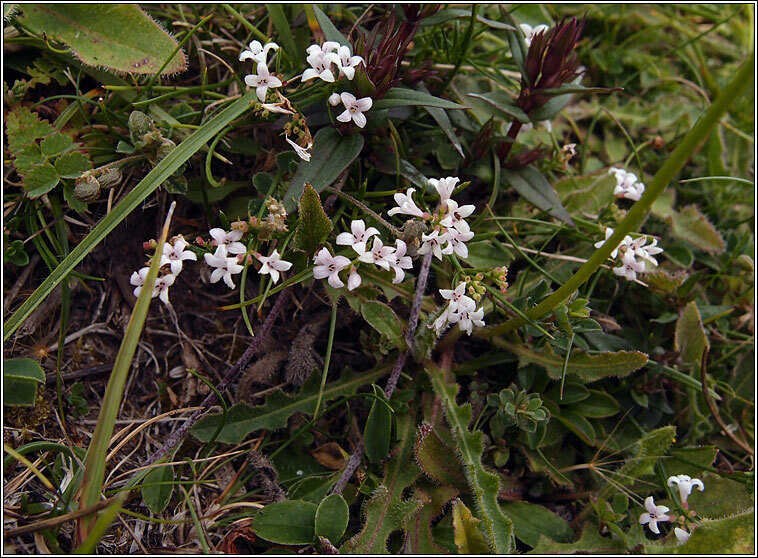 Habitat: Calcareous ground; dunes, rocky grassland, sand-hills. 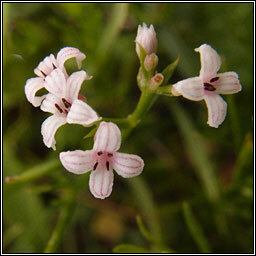 A slender, hairless, very variable plant with vanilla-scented small pinkish-white flowers with 4 petals. The fruit is a pair of slightly warted nutlets. Whorls of narrow linear-lanceolate leaves, the upper whorls with two long and two short leaves on branched 4-angled stems. Prostrate or sprawling growth habit, 10-25cm.